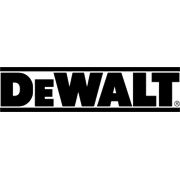 This pack contains five DeWALT DT99555 4/6 TPI blades. 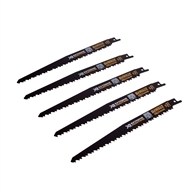 These 4/6 TPI saw blades come in 230mm (9") length for wood with metal cutting. These bi-metal saw blades are coated in a special toughcoat finish which reduces the build up of heat, improving cutting performance and speed - up to twice as much as market competitors. Suitable for applications such as cutting wood, particle boards, piping, plastics, PVC and more.